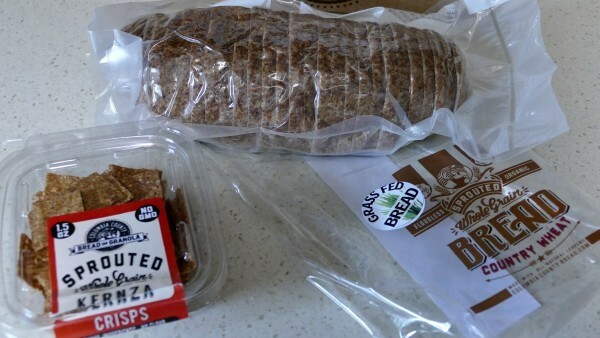 I was sent a sample of Columbia County Bread and Granola Bakery’s sprouted grain bread. They vacuum packed it. It was really good. I feel it would have been at it’s best had I taken the time to re-crust it in the oven but it tasted good as it was too. They make a mash from the sprouted grain and turn it into bread with very little gluten in it because of the process. I’m guessing the gluten that is left is modified and not the same as the gluten that isn’t fermented. Have you baked with sprouted grains? How did you like your resulting bread? Tell us about it in the comments.